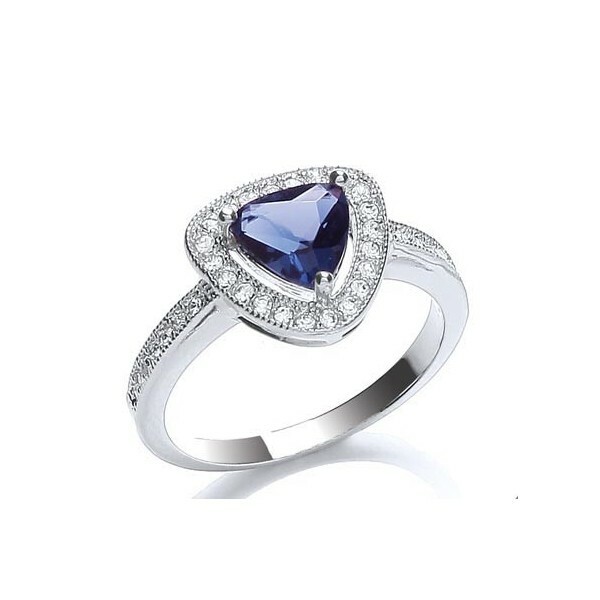 This exquisitely glamorous Buckley London ring hand set with a stunning trillion-cut sapphire glass centre stone and surrounded by intricate millgrain detailing will add a pop of pretty colour. 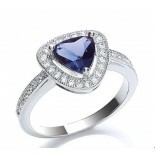 A dazzling choice for yourself or a stylish loved one. Matching earrings (E2070) and pendant (GN1040) also available.